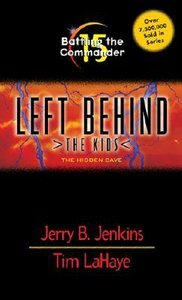 About "Battling the Commander (#15 in Left Behind The Kids Series)"
With millions of copies sold, Left Behind: The Kids series is a favorite of kids age 10-14. The series follows teens that were ?left behind,? who have nothing left but their newfound faith in Jesus Christ. Determined to stand up for God no matter the cost, they are tested at every turn. Books #15 and #16 have background plots from the fourth book in the adult series, Soul Harvest.